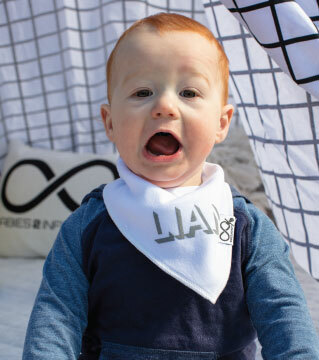 Babies 2 Infinity started with one mum's mission to find stylish but practical bibs for her son. We aim to bring you exciting products that you can personalise to suit your exact requirements. 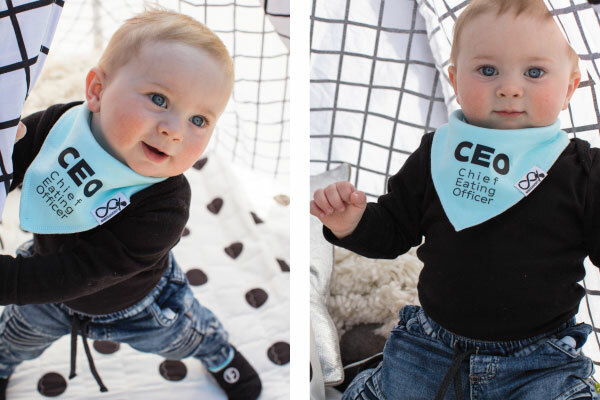 Meet Finn, our CEO - 'Chief Eating Officer', testing expert, model, and inspiration. You will see his cheeky face throughout the website showing off these cool products. We source from all over the world to bring you exciting quality products. Our design and printing studio is located in Sydney.